Book the cheapest car rental Manchester Airport deals using our car rental price comparison website. 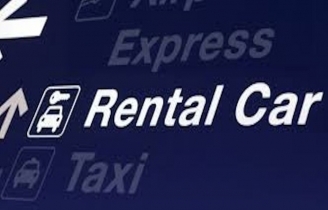 We will find you the best and cheapest car rental deals at Manchester airport. There are 6 car rental providers at Manchester Airport – Budget, Enterprise, Europcar, Sixt, Hertz and Avis - all providing a great selection of vehicles at reasonable prices. To get the best car rental deals, try and book as early as possible and opt to pay during the booking to save the most money and time! You do have the option to get your car rental at the airport, but you’ll end up spending a bit more than you’d hoped. When you are planning to go on a long-awaited holiday or an important business trip, then renting a car at Manchester Airport with BestCarHire can make life easy for you. You control where you want to go and when you want to get there. Our website compares the car rental market, so you can easily find a car that will best suit your budget and your needs thus saving you a lot of time and effort. You will find all of the car rental provider desks in the Car Rental Village which can be accessed by the dedicated Manchester Airport bus. You can collect your keys at the car rental provider’s desk and then they will direct you to your car.